Statuesque Miniatures and Pulp Alley are pleased to announce the Pre-Order of a new Pulp Alley Miniatures pack – Apophis, the Shadow of Chaos! 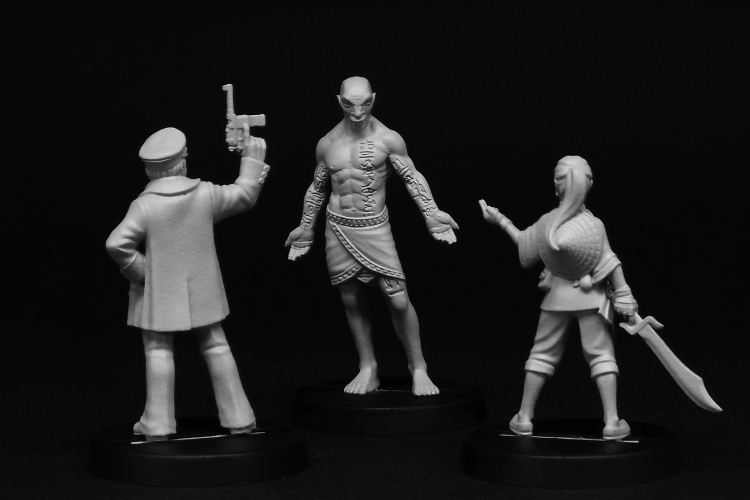 Measuring 39mm tall, Apophis towers over his Pulp Alley opponents and represents the first Terror figure we have done. As a Pre-Order Special Offer, Apophis - the Shadow of Chaos is priced at £4.70, saving 10%. 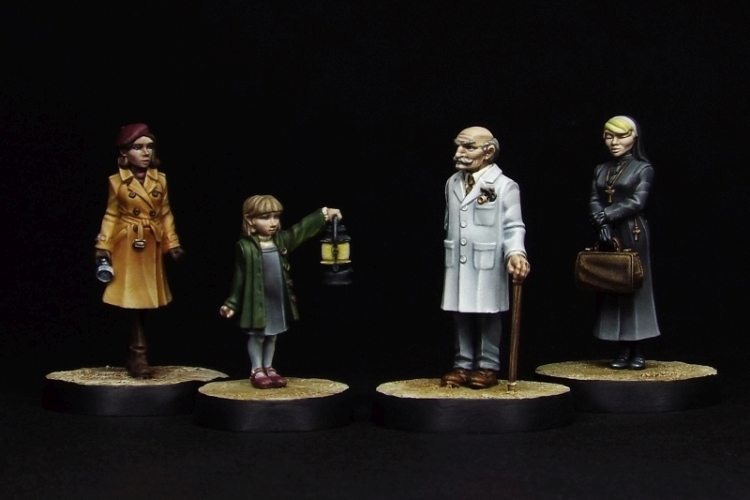 With the release of a suitably scary new figure, it's the perfect time for some horror. The Pulp Alley Horror Deck introduces new and exciting effects for players wanting to add a touch of horror to their Pulp Alley scenarios. Can you survive the mind-rending madness? The Pulp Alley Horror Deck is made up of 48 cards. Two blank Horror cards are also included for you to make your own custom cards, replace worn cards, and so on. The deck is printed on premium stock to match the high quality Fortune Decks and other printed cards. 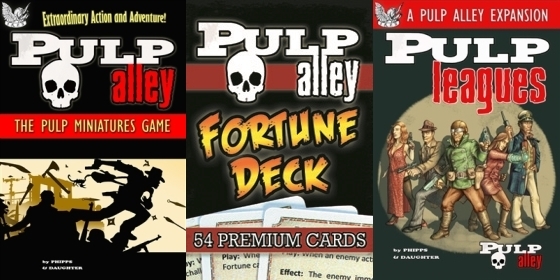 As a Pre-Order Special Offer, the Pulp Alley Horror Deck is priced at only £8.85, saving over 10%. Please note, stock is very limited, so order now to avoid disappointment! Also new this month is the Statuesque Asylum Adversaries set. 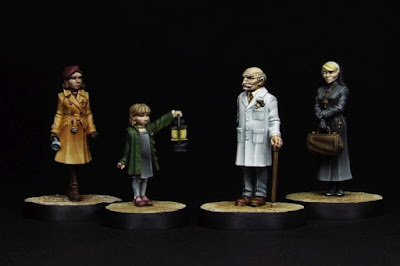 Featuring Lillie Poots, Professor Felicity Poppington, Doctor Strukov and Sister Anaesthesia, the Statuesque Asylum Adversaries set is priced at only £13.25, saving £1.50 over buying these items separately. I'm happy to say we now have the Pulp Alley Rulebook, Fortune Deck and Pulp Leagues book available again as a Restock Pre-Order, along with the Pulp Alley Deal for the rulebook and cards. The stock will be arriving from the US with the new Horror Deck, so will be posted on the same date. Finally, a number of Pulp Alley card packs are now 20% off while stocks last. 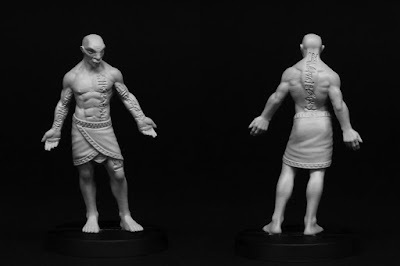 Stock is limited but remember: unless marked as a Pre-Order or Restock Pre-Order, Statuesque Miniatures will never take an order for an item that isn't in stock and ready to send. Any order containing a Pre-Order item will not be posted until the 20th of May. The Pre-Order Special Offer prices also run until this date or while stocks last.